There will be at least four million more cars on the UK’s roads in the next twenty-five years as the population grows by more than ten million. The jump in people and cars will be accompanied by surges in traffic volume and delays on the UK’s roads, which are already the most heavily used in Europe. Yet in the face of this scenario the government has significantly reduced road transport investment because of the recession and ministers have not explained what plans they have to cope with the bleak picture painted by their own numbers. “Forget about Plan B, ministers do not even have a Plan A for dealing with the awful conditions forecast for the roads in the years ahead. It is a case of jams today, and even more jams tomorrow. “The Department for Transport’s own figures show that by 2035 traffic is set to rise by almost 50% and delays by more than 50%. And these are only average figures. In some places, at some times of the day, the jams will be many times worse. The impact will be immense, not just on car drivers but also businesses trying to move their goods about. “There needs to be a fundamental look at how the strategic and main roads are planned, developed, funded, operated and maintained; how the traffic that uses the road network is managed; and how that use is paid for. “In the meantime there are scores of relatively small scale road improvement schemes which could be implemented as part of the growth agenda. They would deliver big benefits to significant numbers of people and businesses. 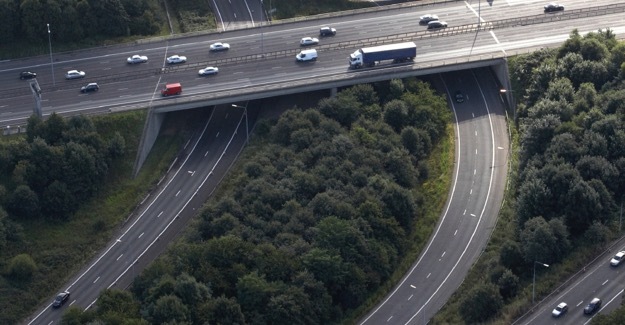 The RAC Foundation – together with consultancy group Arup – has identified 96 unfunded road schemes that are currently sitting on the Department for Transport’s shelves. Together these would deliver significant returns, with the top ten projects all offering benefits of more than £6 for every pound invested. By comparison, HS2 (from London to Birmingham) offers a return of no more than £1.60 for each pound spent. “The government talks about promoting growth, so why doesn’t it dust down its own files and make best use of taxpayers’ money by spending it on the 96 road schemes it has already judged to deliver fantastic returns? “In isolation HS2 might have merit, but viewed alongside many of the road projects it seems very average. The currently unfunded schemes we have identified seem to tick all the right boxes yet government are turning a blind eye to them. “So while a relatively few rich business men will benefit from a high speed rail link the majority of the population who have to drive to go about their business will find themselves in more and more congestion. The report is available on request and will be online at www.racfoundation.org <http://www.racfoundation.org> from the date of publication.